Hump day! Time for some StuART! Uh…maybe “hump day” wasn’t the best choice of words. 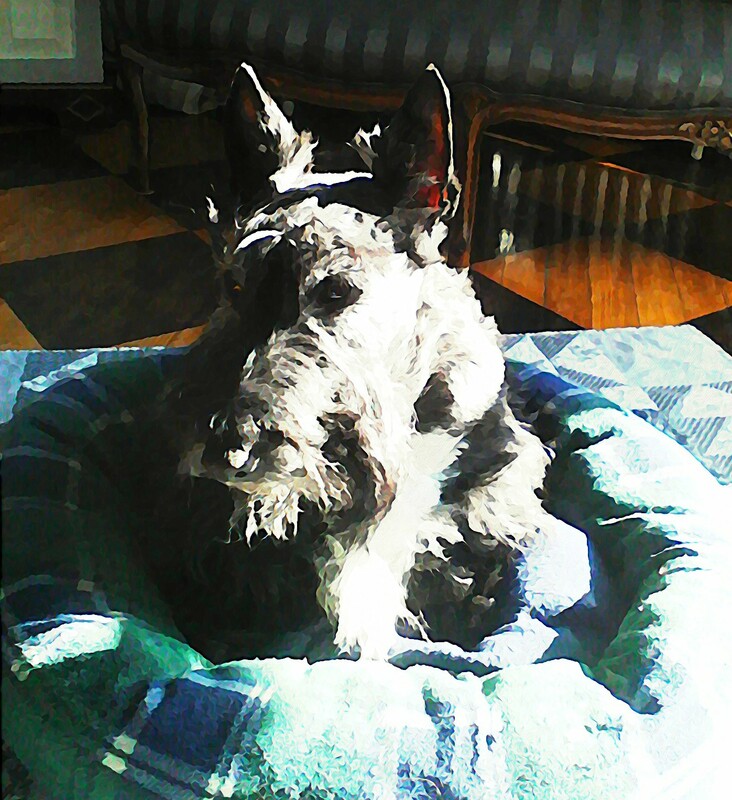 This entry was posted in The Scottie Chronicles and tagged art, dog art, dogs, pets, Scotties, Stuart the Scottie, watercolors. Bookmark the permalink. That’s a grreat sun puddle! Oh, it was nice and cozy! It was nice and cozy! They are aren’t they. Delicate. I like that word. With the sun that bright, you need to be wearing protection. And that applies to hump day? Along with the sun protection Kyla suggests, sunglasses would be a good idea, too! I probably did need sunglasses. LOL.